Across the industry, the nature of IT support and maintenance has evolved slowly. 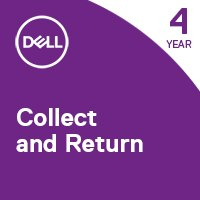 At Dell, we have a long history of innovation in system support and repair, but our latest capability â€” built on a foundation of vigilant sensors, big data, analytics, and IoT â€” is a revolution that will change the way you look at saving time and increasing availability. If your system encounters an issue covered by Dellâ€™s Limited Hardware Warranty1 and that issue cannot be resolved remotely, this service offers a Mail-In Repair Service (customer provides box and Dell pays shipping) for defects in materials and workmanship in your PC. * Dedicated Technical Account Manager (TAM) is only available for customers with 1000 or more ProSupport Plus systems.